Academically eligible students may enroll in the Honors Program in English. The program consists of courses in Honors Composition, Honors Studies in Western Literature, and an Honors Seminar. Students successfully completing the Honors sequence will graduate with "Honors in English." Students in the University Honors Program may also complete the sequence for English Honors as well. 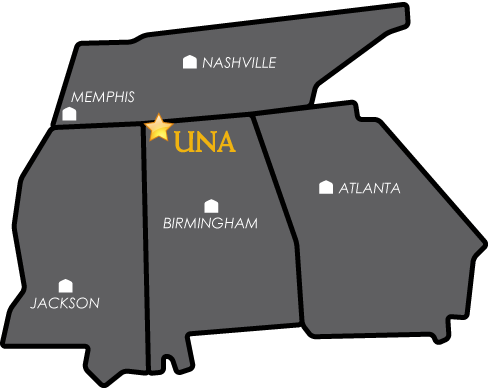 For more information on the Honors Program in English please contact Dr. Vince Brewton at vjbrewton@una.edu or by phone at 256.765.5005.